Ross Crumpton left his hometown and family in Cleveland, Georgia, a small rural town in the Appalachian mountains, to go to Georgia Tech, quite certain that he would never return to live and work in his hometown. Three years out of college, he had joined the corporate world and moved out of state when he began to think of a dream he and his father, John Crumpton, shared to start a brewery. As the country recovered from the recession and funding became more readily available, Ross and his father began to put plans in to place to start their brewery. Meanwhile, Ross had been following trends in the brewery world on social media, and noticed that people had started to grow hops in areas of the country not typically known for the crop. 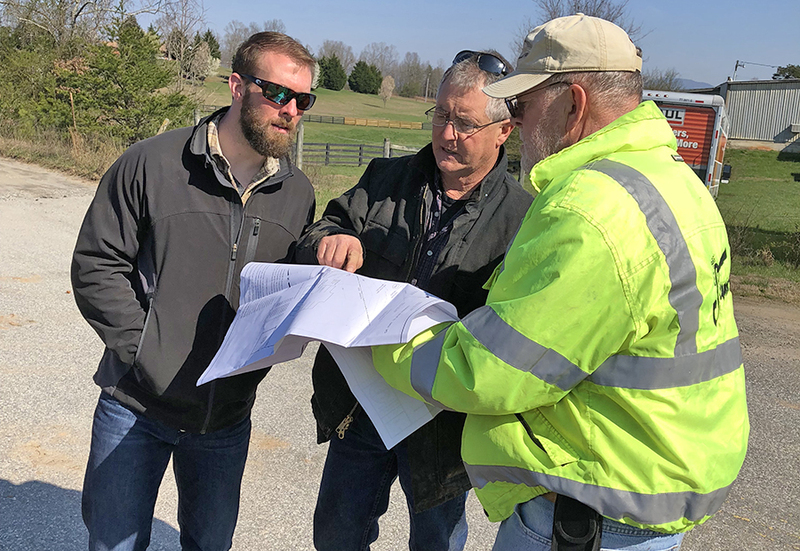 Ross suggested to his father that they try growing hops and consider building a farm-to-pint brewery, something no brewery to date had done in Georgia and rare for breweries in the United States. In May of 2017 they planted 20 hops plants, later than they had hoped and with little time to tend to them. Yet the plants flourished in the short season from May to August. They took their promising results to the Agriculture Commissioner to see if they could get the highly sought after Agritourism and Georgia Grown designation to use on promotional materials and merchandising. The Agriculture Commissioner was intrigued; he was used to seeing peanuts and cotton, but not hops–a crop that had not been grown commercially in Georgia for many years. The Commissioner granted Tantrum Brewery the Agritourism and Georgia Grown designation. In February and March of 2018, the Crumptons planted 300 hops plants, including five varieties that would complement the styles of beer they plan to brew. 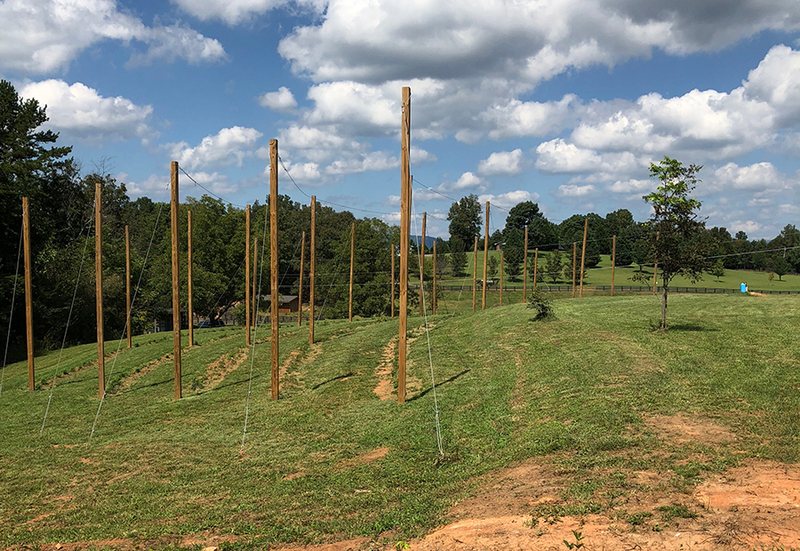 The hops yard is adjacent to the brewery site and a soon-to-be restaurant on a five-acre property with long-range mountain views of Mount Yonah. To build their farm-to-pint brewery, the Crumptons needed a loan for the real estate and equipment required. Tantrum Brewery had received a loan from a local bank on the condition that they bridge their funding gap through investment or through an additional loan. The Crumptons were anxious to be the first to bring their farm-to-pint, Georgia Grown brewery to market, so the timing was vital. That is where ACE came in and was able to move quickly to get them the remaining capital they needed to realize their dream and place them ahead of the competition. Tantrum Brewery expects to open its doors in December of 2018 and will be hosting food trucks until they have their kitchen ready in the summer of 2019. The Crumptons recruited Master Brewer, David Sheets, previously at Ironmonger Brewery in Marietta , Georgia. 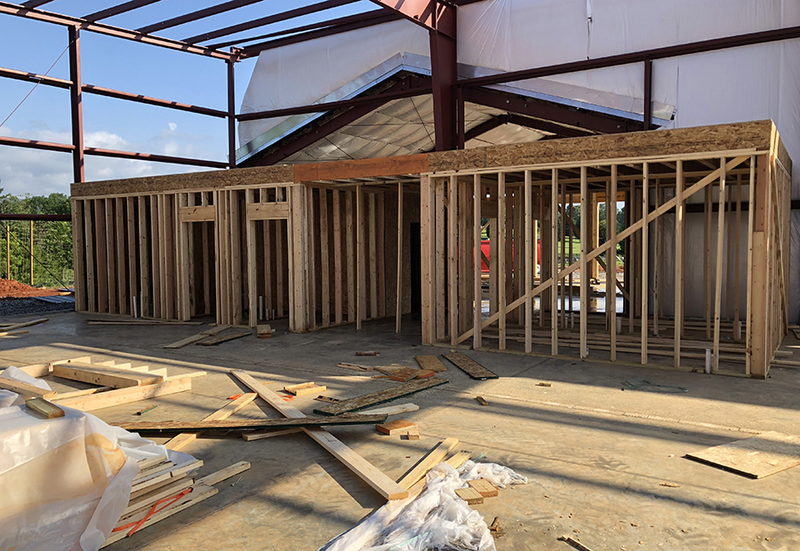 Visitors will be able to enjoy locally brewed beer year-round and tour the hops yards from May to August, a part of the beer making process not typically viewed by beer connoisseurs. Tantrum Brewery will provide additional employment opportunities for Cleveland, as well as a new kind of community space for townspeople with few evening dining options. “They opened their doors… and within about 3 days…we were sitting at their desk talking to them. By that same week–Friday they had an answer….It’s just a great relationship, they’ve been very helpful through the whole process…The timing once we finally got with ACE just was phenomenal.” Tantrum Brewery Co-Founder John Crumpton on his experiences working with ACE.